1. Create a list with below structure, as shown in the screen. 2. Make sure, status column should be of choice and add 3 values as shown below. 3. Add a workflow to the list, with below steps. 4. 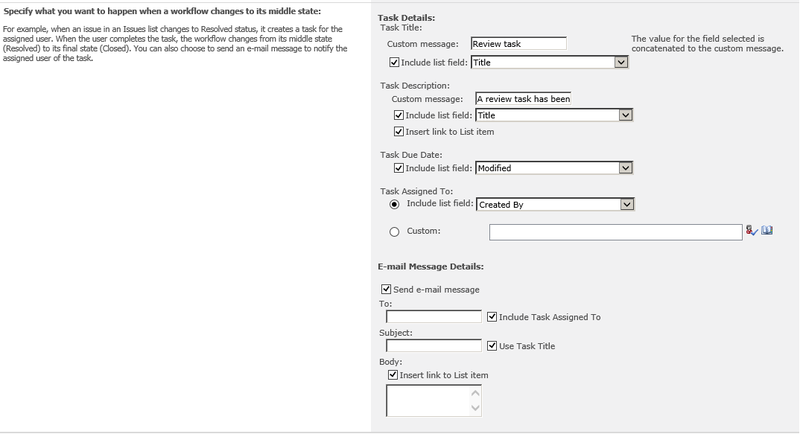 Select "Three-state" from workflow template. Give a name to workflow. Make sure "start this workflow when a new item is created" is checked. 5. 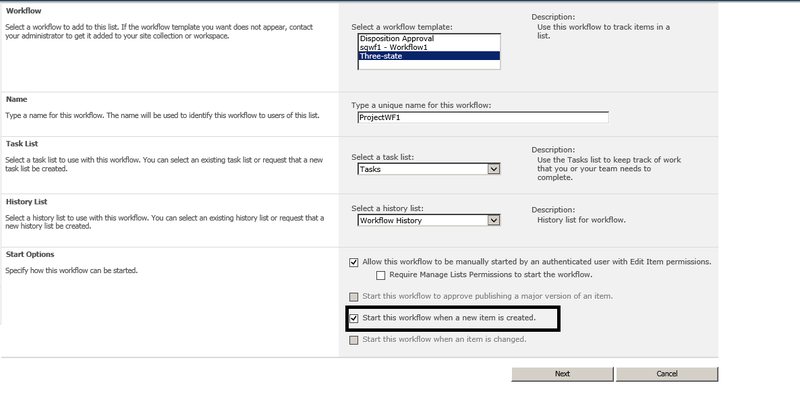 Now you can see the workflow states are the options that were entered in "status" column of the list. 6. 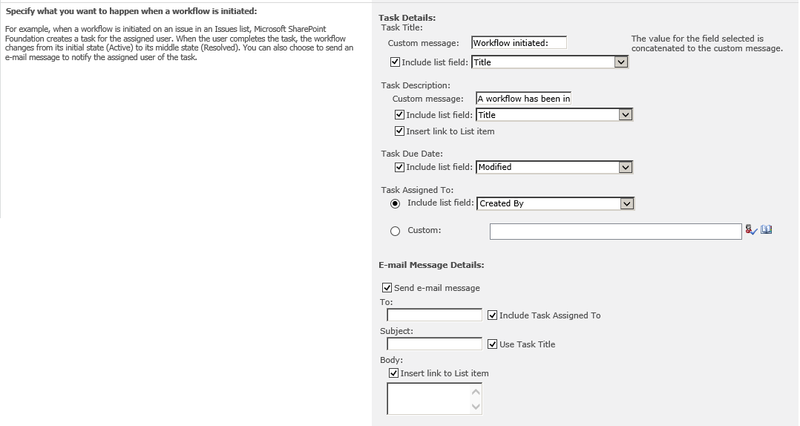 Enter email id and subject line to whom you want to send email when workflow will initiate. 7. 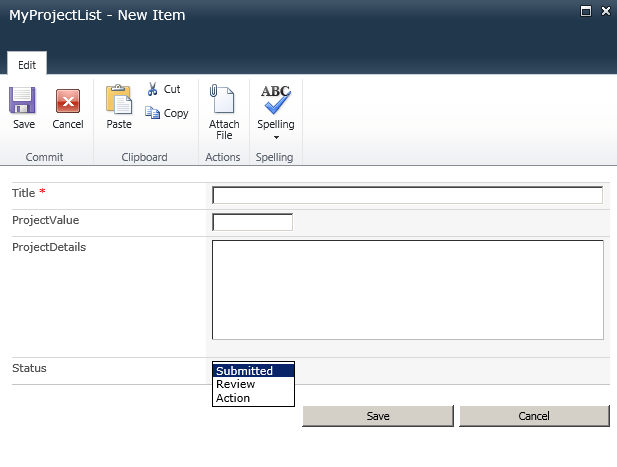 Enter email id and subject line to whom you want to send email when workflow changes to its middle state. 8. Now come to your list and create items. Hope workflow should work.